Charleston, Oregon is one of the most beautiful locations along the Oregon coast. 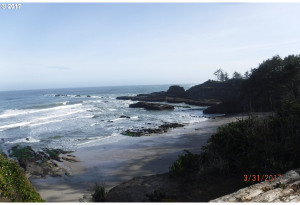 This community is located just inside the entrance to Coos Bay and it’s known for its great fishing, recreation, and scenery. The center of the community is the harbor. In addition to serving a number of fishing boats, it also serves fishing charters and wide variety of sport and recreational boats. In fact, many residents of the area rent dock space or purchase homes with storage areas for their boats. So many fisheries mean that Charleston is also home to some great seafood restaurants, including many that send their own boats out to bring in the freshest fish and seafood possible. You’ll find plenty to see and do in and around the Harbor area, from enjoying great restaurants and bars to renting a charter boat and going on a cruise. The real estate in this area is designed with the Harbor life in mind. You’ll find everything from waterfront condos and houses to homes that are located away from this busy scene.